[Zip lining around Volcan, Mombacho. Photo: Tara Joyce] Every few months a story will surface of an accident occurring while on a vacation. Most recently we have heard of fatal white water rafting stories, near death hang gliding stories, and numerous other common day adventures that have gone awry. Not all accidents are preventible, that is why they are called accidents, however there are steps you can take to ensure a safe outcome to your adventure. Read on for tips on how to keep you safe during travel. After all, it’d be a shame to spend all that time and research finding the best adventure only to get injured along the way. When planning your first trip to a new country or doing a new adventure you should always do as much research as possible to understand what you are getting into. Thankfully with review websites like Google Reviews, Trip Advisors, Yelp, and Facebook you can now obtain data that will help keep you safe. What you should look for is comments as to how a company treats their customers, was the trip a good value, how enjoyable was the trip and if there are any blatant red flags. Choosing the right outfitter for your trip is paramount to enjoying your adventure. Your decision should weigh heavily on reputation and safety record. Price while important should not be your deciding factor. Returning from a trip without a souvenir is better than delaying your flight due to injury. Many activities we enjoy today are regulated for safety. If you enjoy scuba then you know all divers must be certified and master divers are certified by one governing board PADI. Before you go diving you can verify a dive master is legit by obtaining their diver number and calling PADI. For other sports you will want to check and see if they have accreditation, some may not apply but this is when safety accreditation steps in. You want to go bungee diving, you can check in most countries when the last accident was and why it happened. Perhaps the best method to verify a local outfitter is by word of mouth. You can ask through social media if any of your friends have previously been on an adventure and how the experience was. There is no stronger recommendation than hearing from someone you trust and know. Are you an avid whitewater rafter, do you regularly send down class IV and V rapids? Are you familiar with how to get out of hairy places? Then you’re probably all set to try new adventurous waters in a foreign country. If you want to have an adventurous experience you have to first ask yourself what are my limitations. You must be truthful with yourself on this question or ensure that you have enough time to master your new ability. Last but not least trust your gut. If you show up to your outfitter and something doesn’t feel right it’s okay to back out. Yes this may mean that you lose out on an adventure and possibly financially as well. 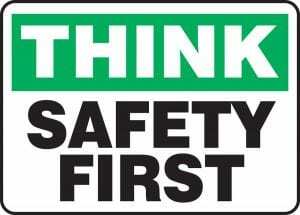 Safety should be your number one concern. As they say in school, no question is a dumb question. You will be at your peak confidence when you understand everything that is going to take place. Talk to the guides, talk to other customers, make sure you are comfortable with your surroundings before setting off on your adventure. You can never be too safe!